It has been a long time since I have found new beauty products I absolutely adore which is why I am so excited to tell you my September beauty favorites! – The first beauty product that takes the cake over all the others is BECCA Shimmering Skin Perfector SPF 25+ in Opal (golden opal pearl). You can use this product in many different ways such as a highlighter, makeup base/primer or highlighting the body. I use this for an all-over inner glow and mix a pump of Shimmering Skin Perfector with my favorite foundation and apply it to my entire face (You can also mix this into your moisturizer if you don’t wear foundation). The results are amazing! I never would have thought this product is something I would love, let alone use, but thanks to Sephora, I received a free deluxe sample to try and so can you! How? Just purchase $25 or more from Sephora.com and enter coupon code: OPAL at checkout to receive your free sample (while supplies last). After one week of using this amazing freebie, I ordered the full-size from Sephora.com for $41. A little bit goes a long way, so this will definitely last a long time. I highly recommend this product! This product has been dermatologically tested. -This product may be used on the face and body. -When highlighting the body, apply to dècolletage, shoulders, and legs. 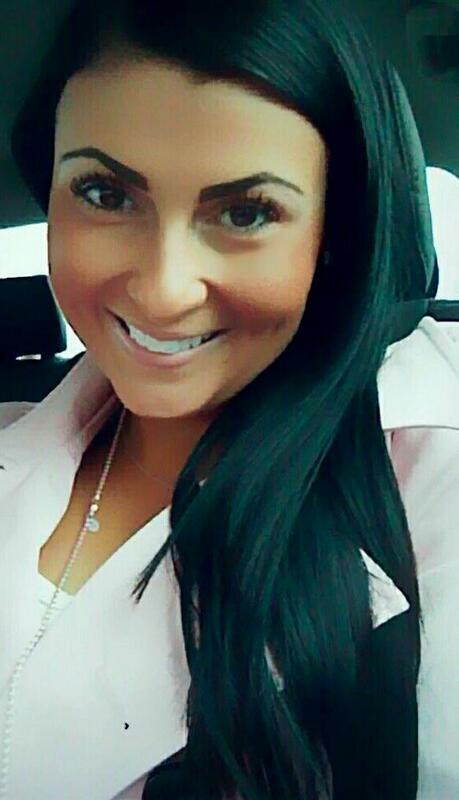 -Spotlighting: after applying makeup, dab a small amount, onto cheek and brow bones. -For a luminescent base: before applying primer, use Shimmering Skin Perfector™ as a base over the entire face using fingertips or a brush. Follow with Radiant Skin Satin Finish Foundation and add a touch of Radiant Skin Creamy Concealer where needed. -For an all-over inner glow: mix half a pump of Shimmering Skin Perfector with Radiant Skin Satin Finish Foundation or your favorite moisturizer and apply to the entire face. -For a head-to-toe glow: mix two to three pumps with your favorite body moisturizer. 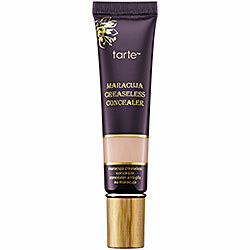 – The second product in my September beauty favorites is TARTE Maracuja Creaseless Concealer in Light. A few weeks ago I was given a free TARTE makeover at Ulta and the makeup artist used this concealer on me and I have been hooked ever since. It really made my eyes pop without any eyeshadow and I now use it daily. It stays in place all day and doesn’t crease of settle in fine lines. It has become my holy grail makeup product. It is $24, but a little bit goes a long way and you get .28oz in the tube which is a pretty good amount. I LOVE it! A full-coverage concealer that won’t crease, flake, or leave you needing more. Tarte’s Maracuja Creaseless Concealer offers long-lasting, full coverage in a rich, creamy, and velvety texture with pure, skin-soothing ingredients. The high-performance natural formula is infused with Tarte’s pure maracuja oil, which helps to improve skin’s texture, tone, and moisture content while imparting a brightening, dewy, luminous finish. In addition to promoting healthy skin, this velvety concealer is also ideal for masking discoloration and imperfections such as acne, blemishes, redness, scars, hyperpigmentation, and dark circles. This nutrient-rich, blendable, liquid concealer brightens and restores skin’s natural luster, leaving you with a flawless complexion. 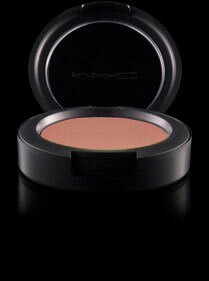 – The third product in my September beauty favorites is MAC Sheertone Blush in Gingerly. 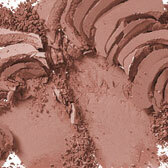 Mac describes the color as a “Capri bronze (Sheertone)” and it costs $21 for .21oz. The color is just gorgeous and it lasts all day! 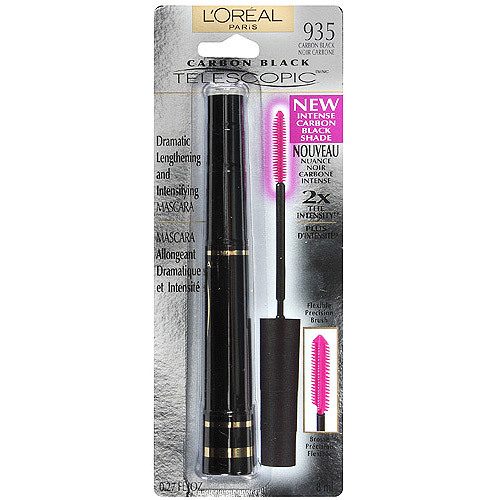 – My fourth September beauty favorite is L’Oreal Telescopic mascara in Carbon Black. If you want false looking lashes without actually wearing falsies, pick this mascara up… It is amazing! You can purchase it almost anywhere and it is a beauty steal with a price tag under $10. I usually purchase mine from Ulta. 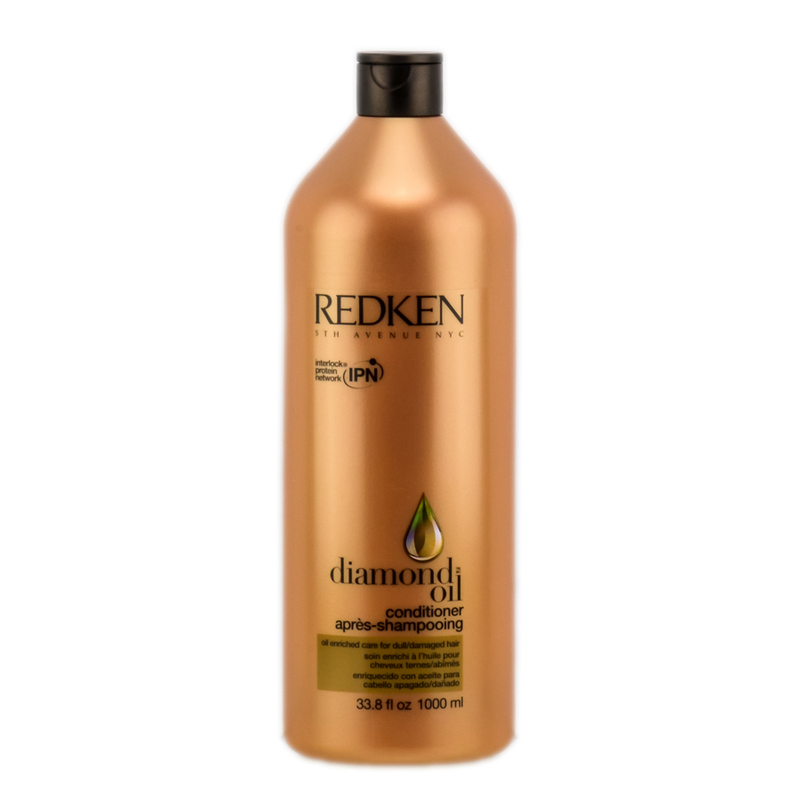 – My fifth September Favorite is Redken Diamond Oil Conditioner. My hair is so shiny, soft, and healthy while using this conditioner. There is no product buildup and you can get a great deal from Ulta when they run their liter sale (usually costs $34, but when on sale, it’s only $19.99). Must buy! My hair has never looked better. – And last but not least, my sixth September beauty favorite is BITE Beauty Lush Fruit Lip Gloss in Raisin (pale creamy pink). 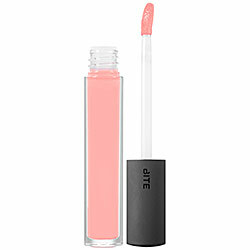 You can get this highly pigmented lip gloss from Sephora for $22. 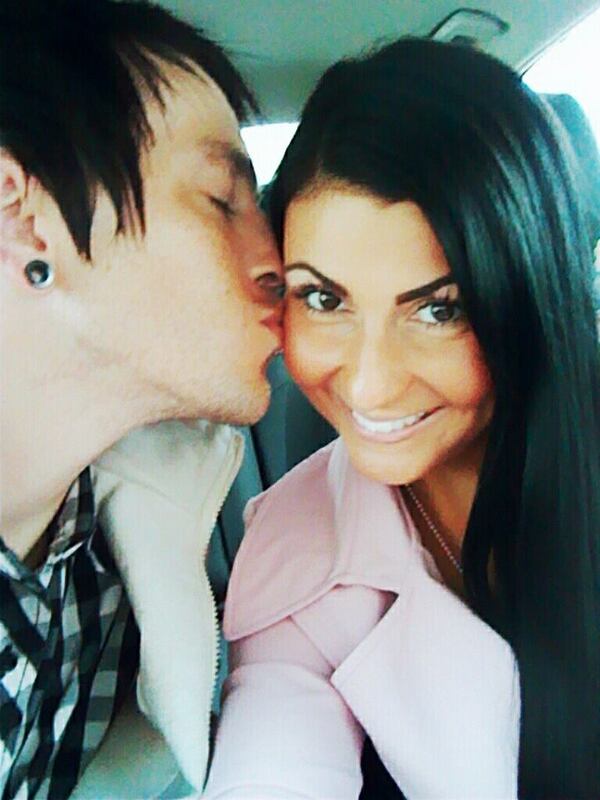 As a lip gloss fanatic, this is one of my new favorite glosses… Perfect in every way!